A popcorn science fair project can be fun and interesting to put together. Many science fair projects are based on ideas that have nothing to do with the audience. 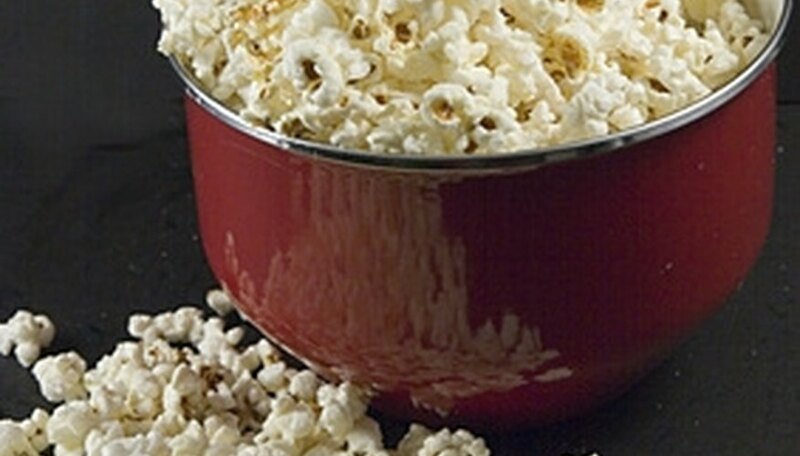 Science fair ideas on popcorn are interesting for the audience because everyone eats popcorn and everyone wants to know how to pop the perfect pop corn. Read the steps below for popcorn science fair project ideas. Your popcorn science fair project should revolve around how to make the best popcorn. Try to get hold of as many types of popcorn poppers (or popcorn makers) as you can. If you do not have at home, consider borrowing from friends or buying some inexpensive models online. (You would be surprised that some popcorn poppers are really very inexpensive.) You can try microwave popcorn makers, electric popcorn maker, hot air popcorn maker, stove top pop corn popper, etc. Use whatever you can get your hands on! Make up bags of about 150 kernels of popcorn a piece. Make up one bag for each type of popcorn popper you have. Take popcorn out of bag and pop popcorn according to directions - Follow the directions of the various popcorn poppers you have. Try to follow directions exactly. Examine the popped popcorn. Put each type of popcorn in its own bag and label it. Make observations: An important part of the popcorn science fair project is to observe what happens. - How many kernels were left unpopped? - How big are the kernels? - Are some only half popped? - Are some kernels burnt? Make sure to try the same variation with each of the popcorn makers you have. Make sure to keep the popped popcorn and make observations. Draw conclusions: Based on all your bags of popcorn, determine if there is one method that pops the best. Explain what the variations do the popcorn. If possible, make a recommendation for the best popcorn. Put it all together into a popcorn science fair project display. Hang up the bags of popcorn together with observations for each. Make sure the display is neat and interesting looking. For other ideas of science fair ideas on popcorn you can use microwave bags of popcorn instead or you can compare different brands of popcorn kernels instead. braniac. "How to Do a Popcorn Science Fair Project." Sciencing, https://sciencing.com/popcorn-science-fair-project-4900624.html. 24 April 2017.